Hepatic hemangiomas (HH) are the most common type of benign (noncancerous) tumors in or on the liver. The tumor is comprised of a network of blood vessels, the cells that line those blood vessels (endothelial cells), and the hepatic artery, which acts as a primary fuel supply for the mass. Other names for this tumor include cavernous or capillary hepatic hemangioma. Often, people who have this type of tumor live symptom-free, and it’s only discovered incidentally when the patient is undergoing treatment, testing, or a procedure for a different medical condition. Primarily, hepatic hemangiomas are diagnosed between the ages of 30 and 50 years old. Additionally, these liver tumors are five times more likely to occur in women than in men. No one knows why these vascular masses develop, but researchers believe there may be a genetic predisposition, or it may be a congenital condition. Also, others think the growth of liver hemangiomas may correlate with the levels of estrogen in the body, especially during pregnancy. Furthermore, some experts believe women who use birth control or other forms of hormone replacement therapy to reduce the symptoms of menopause may be more likely to develop the liver mass—although it’s important to note that not all tumors are related to estrogen, and tumors may grow even when there is an absence of this hormone. 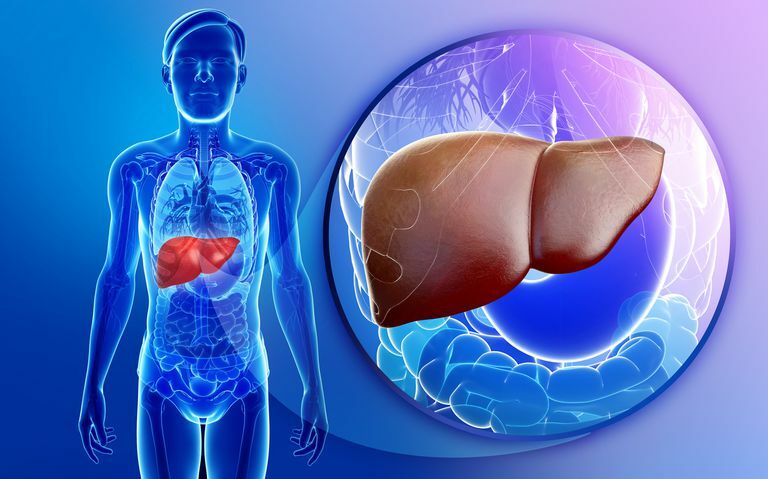 While the thought of having a liver tumor in your body may sound alarming, most people will remain asymptomatic and not require any medical intervention at all. In rare circumstances, the tumor can rupture and cause severe pain and bleeding inside the abdomen. Depending on your symptoms and the size of the liver mass, additional blood work or tests may be required. As mentioned earlier, if the tumor is small and doesn’t present you with any problems, treatment is unnecessary. But if you experience pain or other symptoms, medical interventions may be needed to improve your condition. Sometimes surgery is required to remove the tumor. If the hepatic hemangioma is easy to get at, the doctor may elect to remove the mass in an attempt to reduce damage to the tissues of the liver. In other cases, the doctor may be required to remove a portion of your liver—known as a resection—in addition to the tumor. Additionally, a doctor may try to block the blood supply to the tumor through a surgical procedure known as a hepatic artery ligation or through an injection called an arterial embolization. In rare situations, a liver transplant may be required if the size and scope of the hepatic hemangioma can’t be remedied by other procedures. Finally, radiation therapy is a treatment option to shrink the size of the mass, but it’s not commonly used due to its potential to lead to other complications. Most people can live normal, healthy lives with a hepatic hemangioma. But a tumor may become problematic if it grows in size or you develop symptoms that make day-to-day living difficult for you. If the tumor is discovered as part of another medical condition, your doctor may decide to refer you for periodic monitoring to a gastroenterologist—a physician who specializes in the diagnosis and treatment of gastrointestinal tract and liver diseases. If you require surgical intervention, the probability that the tumor will recur is low (although, there are few documented cases of it happening). However, the long-term prognosis for hepatic hemangiomas is considered excellent. Although there's no clear-cut way to prevent the growth of hepatic hemangiomas, your doctor may recommend some lifestyle modifications like exercising, quitting smoking, maintaining a healthy weight, limiting your intake of alcoholic beverages, and eating a nutritious diet as strategies to support your overall health. Although you may feel anxious about a diagnosis of a hepatic hemangioma, this type of feeling is normal. If you find that anxiety and worry are hindering your ability to live a full life, don’t be afraid to talk with your doctor about your situation. You may find that a skilled mental health professional or a support group can help you cope with the condition, prepare for surgery, and support you after a procedure. Bajenaru N, Balaban V, Săvulescu F, Campeanu I, Patrascu T. Hepatic hemangioma -review-. Journal of Medicine and Life. 2015; 8(Spec Issue): 4–11.